Famous For: Century-old archives, rare literary works, interior decor, sightseeing, educational trip, and photography. Entrance Fee: View and read books, free-of-cost. However, only members can take books home and avail other library services. Membership Fee: Annual membership charges are 50 INR per individual. Additionally, the museum takes 50 INR for each book issued to the member. Maximum of 6 books are issued per member. Visiting Days: The library is open to the visitors, all days of the week. However, it remains closed on National Holidays (26th January, 15th August, and 2nd October) and state-declared holidays: Vijayadashami, Diwali, Christmas, Pongal, Saraswati Puja, and Tamil New Year. Visiting Time: Working hours are 9AM to 7.30PM (Mon-Sat) and 9.30AM to 6PM (Sun). Visit Duration: For tourists, it will take about one hour to explore its premises. This public library is present on Pantheon Road, Egmore, in Chennai. The Central Government has designated it as a National Depository library. It houses at least one copy of all books, magazines, and newspapers published in India. 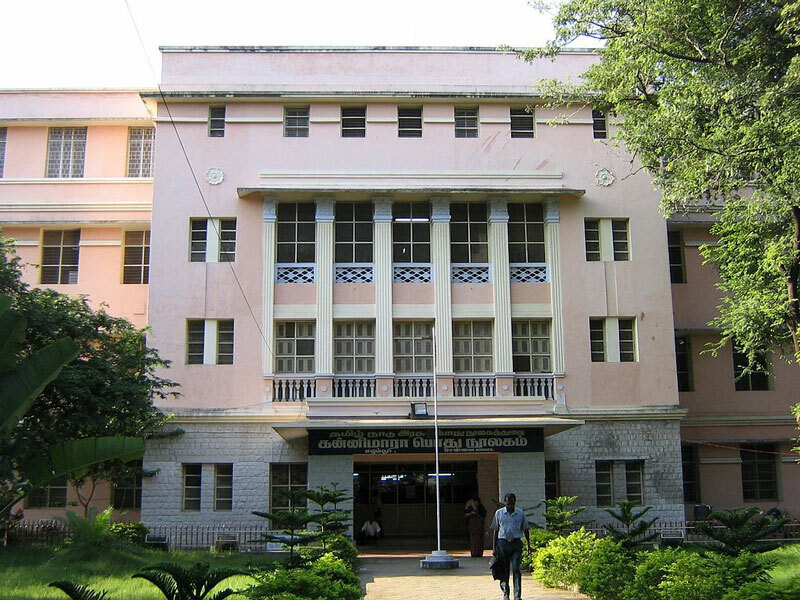 It was founded by the former Governor of Madras, Lord Connemara and became functional on 5th December, 1896. 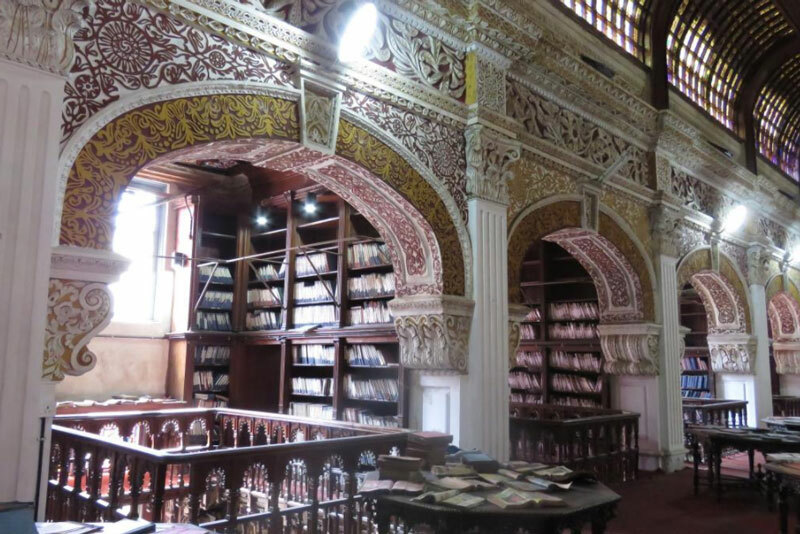 More than 600,000 publications adorn the shelves and cupboards of this prestigious library. Moreover, there is an impressive collection of famous and rare books and scientific journals of bygone era, safely, present here. Follow all rules and restrictions mentioned. Maintain proper silence and overall cleanliness of its premises. Handle each book you hold with care. Place periodicals and books in their original position on respective shelves after you finish browsing them. Defacing, marking, or stealing of any library-article is a punishable offence. View the architectural grandeur of its buildings. Don’t forget to take their pictures. Visit the section, solely, dedicated to academic publications and text-books and get reminded of your school life and college days. Stroll through the hall booked for periodicals and browse various academic and non-academic magazines. Check out the library’s main reference room and exclusive video room. Explore a multitude of books written in various regional languages. There is an exclusive Braille Library and an IAS study center, within the main library that you should visit. Have a look at some of its antiquated books, such as, Bible (published 1608 AD) and Rheed’s scientific work, titled “Hourtus Indicus Malabaricus” (published between1678-1703 AD). Learn about several historical events at its on-campus Museum & Theatre. Contact its available library-staff to answer your queries. There are no tour guides. The months of September until March are the ideal months to visit. Chennai has more pleasant weather and cooler temperature, at this time. Most tourists find Chennai’s scorching hot summer and monsoon season, quite unbearable. The nearest railway station is Chennai Central that is situated 3km away from the library. Moreover, the Chennai International Airport or MMA is located 26km away from here. You can hire an autorickshaw, rental cab, or public bus to reach this place. Connemara Public Library, was a former segment of a cultural complex named as The Pantheon. Irving, an architect, designed the main building based on the architectural design of British Museum Library. The second building was constructed in 1973 AD. The Tamil Nadu government declared it as the state central library, in 1948 AD. It is compulsory for each publisher in India to submit a copy of its every publication to it. It became one of the UN depository centers, in 1956 AD. Membership is open to all persons of 17 years and above, residing in Chennai and its suburbs. Its Reader’s forum regularly hosts Book Release events and literary fests for its readers. It has online book catalogs, and a scanning facility, and provides photo-copying services. If you are a book-lover, an avid traveler, or a history buff, then this old regal monument is a must-visit site for you during your trip to Chennai.